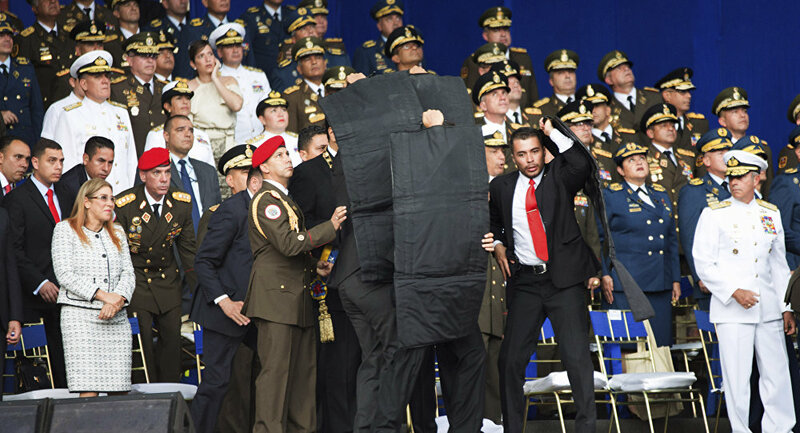 The Venezuelan president already survived an apparent assassination attempt in August 2018, when a pair of drones armed with explosives were detonated while approaching a stage where Maduro and other senior government officials were standing during a holiday. Caracas accused the US and Colombia of involvement in that attack. 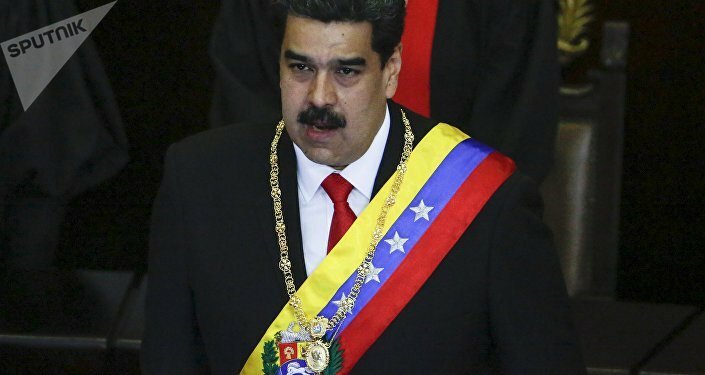 Venezuelan President Nicolas Maduro has accused the United States and opposition leader Juan Guaido of being directly involved in a plot to kill him. "American imperialism wants to kill me. We just exposed the plan that the devil's puppet [Guaido] personally directed to kill me," Maduro said, speaking to supporters at a rally. "We have evidence; they could not and cannot [succeed] because we are protected by God," Maduro added. Maduro stressed that the Prosecutor's Office had made serious progress in the case, with "new terrorists" expected to be arrested "in the coming days." Last week, Venezuelan security arrested Guaido 'chief of staff' Robert Marrero, accusing him of organizing a terror cell and conspiring to hire professional assassins from across Central America to murder high-ranking Venezuelan officials and carry out acts of terrorism and sabotage using monies from frozen Venezuelan bank accounts abroad. Speaking on Venezuelan television on Saturday, communication minister Jorge Rodriguez alleged that the opposition had recruited the killers and paramilitaries to send them to Colombia for training. "Marrero was involved in contracting people from Guatemala and Colombia to comply with the recruitment and training plan for assassins," he said. Rodriguez provided detailed information about the plot, which he said included the creation of over half a dozen hit teams of eight mercenaries apiece to go after Venezuelan political and military leaders, and carry out terror plots against the state. 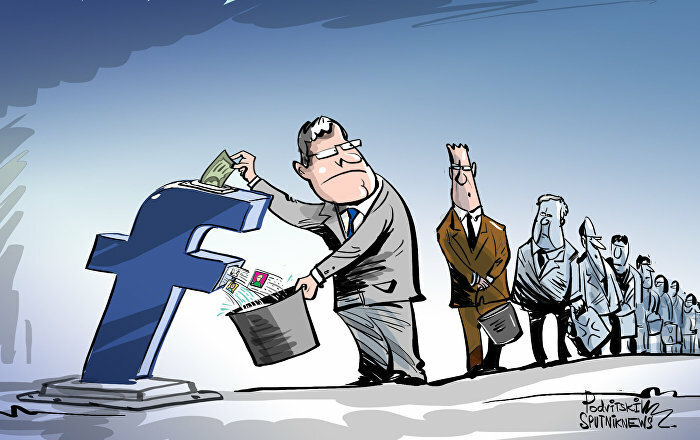 The evidence included recordings of what were said to be WhatsApp conversations between Marrero and Guaido on the use of Venezuelan funds frozen by US sanctions to finance armed groups with Colombia's support. Venezuelan authorities have already identified some of the estimated 30+ paramilitaries which have infiltrated into Venezuela from El Salvador, Honduras and Guatemala after being trained in Colombia, according to Rodriguez. In his speech, Maduro also indicated that an unidentified Colombian paramilitary chief had also been captured and was now "giving testimony." Marrero was arrested at his Caracas home on Thursday, with authorities finding two assault rifles and a grenade as well as large sums of cash in foreign currencies at his home. The politician claimed the weapons had been planted. The US, the US and the Lima Group of countries condemned Marrero's arrest and demanded that he be released immediately. Venezuela's long-running political crisis escalated in late January, when Juan Guaido, head of the semi-defunct National Assembly, declared himself interim president pending fresh elections, just days after Maduro's inauguration for a second term. The plot received immediate backing from the US and its Latin American allies, as well as Europe. Russia, China, Cuba, Bolivia, Turkey, Syria, North Korea and a number of other countries condemned the coup attempt and urged outside powers not to interfere in Venezuela's internal affairs.